Bibi Karim and her pet cat Susie, who was poisoned close to their Mayo home last Thursday. A MAYO couple is heartbroken after their three cats were poisoned over the weekend. Shafayath Karim, 67, and his wife Rita Ramdass, 57, visited Newsday’s South Bureau this morning to express their frustration and pain over the ordeal. Karim said about a year ago, they found an adult female cat which fell into a septic tank in their yard. Karim said he and his sons sprang into action to save the drowning feline and she quickly became a part of their family. They called her “Susie” and their 22-year-old daughter, Bibi, quickly became attached to her. She said her family has lived in Mayo for over 35 years and they are accustomed to feeding abandoned animals. Ramdass said Susie was found dead on Thursday morning and the kittens died on Saturday. She recalled seeing Mama fighting for her life on Saturday morning. Karim described the actions as callous and savage. He said on eight occasions, Susie killed snakes from around his home, protecting him and his family. For years, animal rights activists have called on government to update legislation to protect animals, as many see the fines and jail sentences as not enough of a deterrence to those who harm animals. 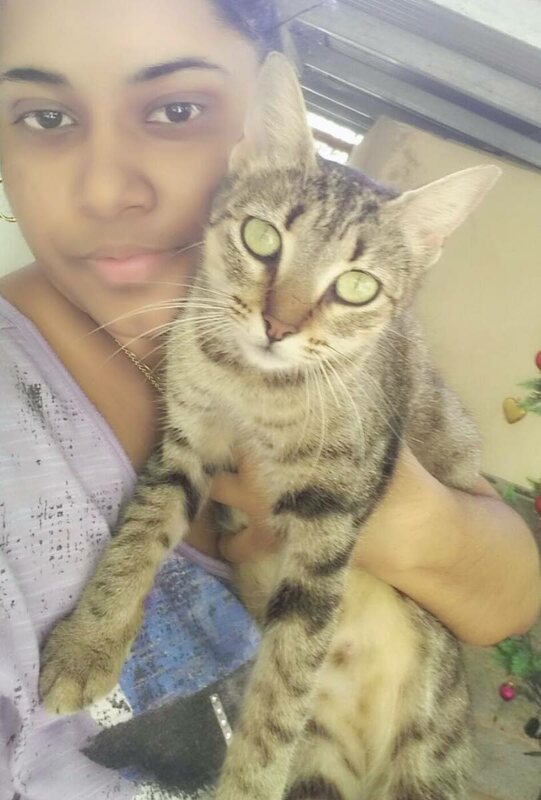 Eight months ago, veterinarian Nicole Straker started an online petition calling on Attorney General Faris Al Rawi to update the laws but to date, nothing has been changed. The petition currently has 11,242 signatures. Reply to "Mayo couple grieves for poisoned cats"